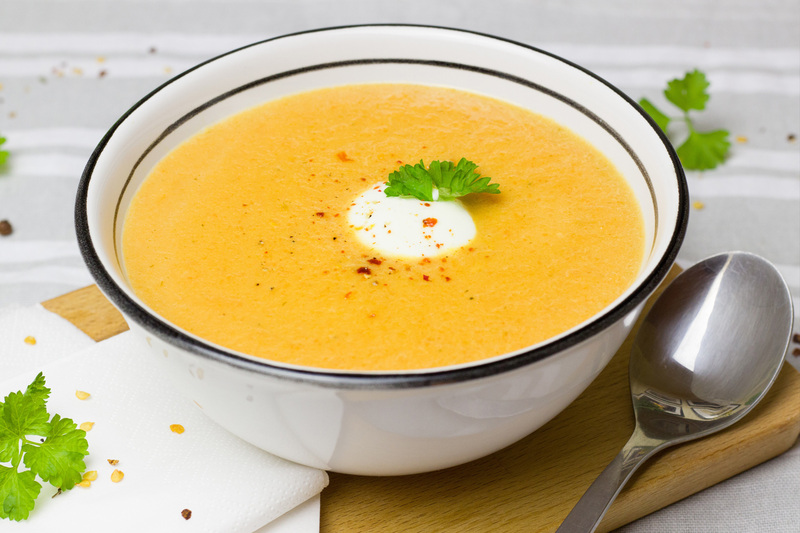 This soup recipe is derived from ‘Body Foods for Women’ by Jane Clarke – the book that is ignited my passion for food many years ago, and inspired me to become a nutritionist. It is packed with antioxidants, namely beta-carotene and Vitamin C, and so is perfect for when you feel a cold coming on or are just feeling generally below par. But most importantly it tastes fresh and fantastic! Heat oil in a large pan, gently cook onion and carrots until softened. Add orange zest, bay leaf and stock. Remove bay leaf, add orange juice and blend until smooth. Add seasoning as required and garnish with herbs. Alternatively grind hazelnuts in a coffee grinder (pre-soaking aids digestion) and add some seasoning such as herb salt or Braggs sauce to taste. Sprinkle on top of soup and enjoy!